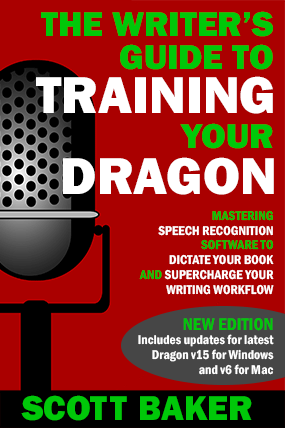 TRAINING YOUR DRAGON with SCOTT BAKER – Page 2 – Author of "The Writer's Guide to Training Your Dragon"
Dragon NaturallySpeaking Premium 13 currently $39.99 at Amazon – Is This the Lowest Price It’s Ever Been? I don’t normally post details of special offers as Dragon is frequently discounted anyway and as soon as I’ve written about it, the prices may have changed. 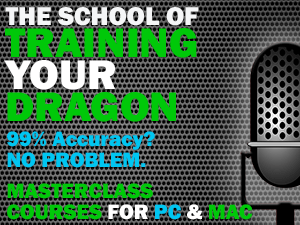 But for anyone who hasn’t taken the plunge with dictation yet or is seriously considering upgrading from an older version of Dragon (12.5 or lower), this is an offer that simply cannot be ignored. Thanks to a user on the excellent Dragon Riders Facebook group who uncovered this, Amazon.com is currently offering Dragon NaturallySpeaking Premium 13 for just $39.99 in a bundle with McAfee software (which you can choose not to install, if you wish). This is almost $50 less than Amazon is currently selling the stand-alone version of Dragon 13 for and is over a staggering $200 less than Dragon Professional Individual 15. This could be ideal for someone who wants an extra copy of Dragon for additional PCs (don’t forget you can install it on two machines as long as you are only using it on one at a time) or for Mac users thinking of dipping their toes into the waters of using Dragon under a virtual machine. In other news, I’ll be reviewing some speech recognition-specific microphones kindly sent to me by Speechware over the coming weeks which I’m really excited about. Stay tuned. Author Scott BakerPosted on May 5, 2017 May 5, 2017 Categories DragonTags Dragon, Naturally Speaking, PC, Special Offer2 Comments on Dragon NaturallySpeaking Premium 13 currently $39.99 at Amazon – Is This the Lowest Price It’s Ever Been? You can listen to this one, of course, or see my ugly mug in glorious technicolor via the wonders of video. Whichever method you choose, I hope you pick up some handy tips – oh, and be sure to download the FREE cheatsheet I’ve so lovingly prepared. Big thanks to Mark and James! Author Scott BakerPosted on March 14, 2017 December 16, 2017 Categories DragonTags Dragon, Mac, Professional Individual56 Comments on Dragon for Mac Goes from Zero to Hero – But Is It Too Late? I was lucky enough to be interviewed for this week’s edition of The Author Biz podcast with Stephen Campbell. 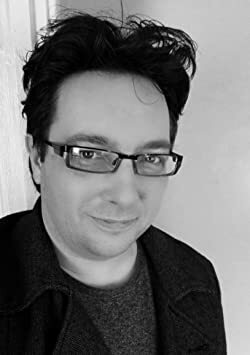 Now here’s the interesting thing – Stephen is a bit of a sceptic when it comes to dictation but, by the end of the interview, he had rushed out to buy a copy of Dragon. We had a terrific chat and he became convinced of the benefits of dictation – and transcription in particular – as a result. There are lots of great tips for beginners and newbies alike. Check it out – and thanks, Stephen!